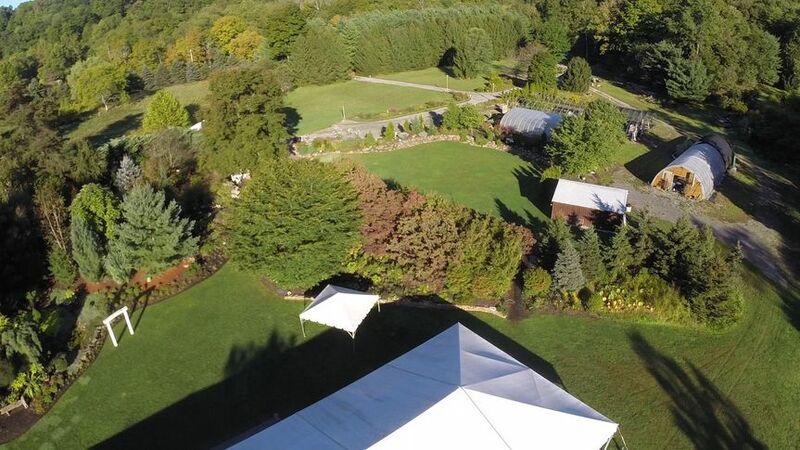 Nestled in the Big Sewickley Creek valley in Economy Borough, 15 miles northwest of downtown Pittsburgh, the serenely beautiful gardens of Stonebridge Farm Nursery provide a one-of-a-kind venue for your outdoor wedding celebration. Driving through the gate, the rest of the world is left behind, as you enter what could very well be "the middle of nowhere"! From the cluster of eucalyptus trees in the entrance garden to giant carved stone mushrooms, our gardens are designed to surprise and delight guests with the unexpected! 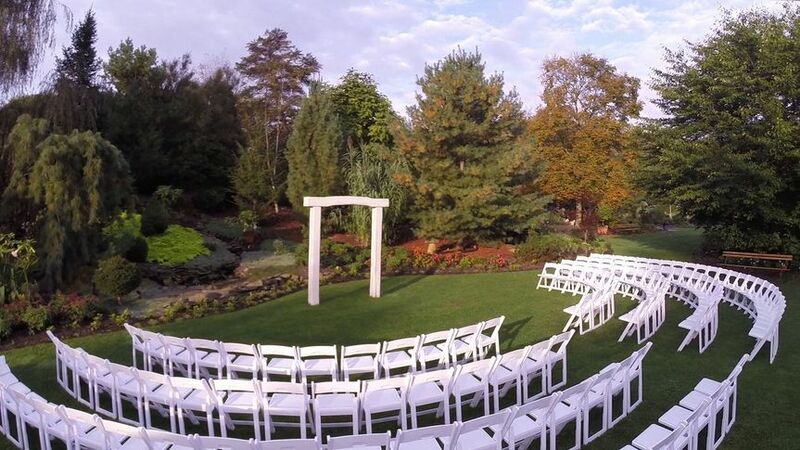 The soothing sounds of water from stone fountains throughout the gardens, koi ponds, masses of butterfly attracting annuals and perennials, and unique trees and shrubs provide a memorable venue for your beautiful garden wedding! Photo opportunities are endless! 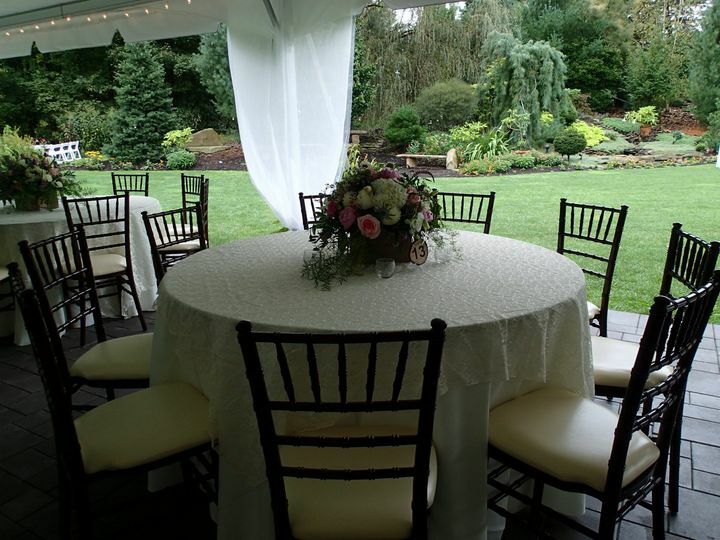 Our policy of limiting to one wedding reception per weekend not only ensures that our gardens will be fresh and beautiful regardless of your date, but also allows for decorating opportunities that are just not possible at venues booking multiple events. 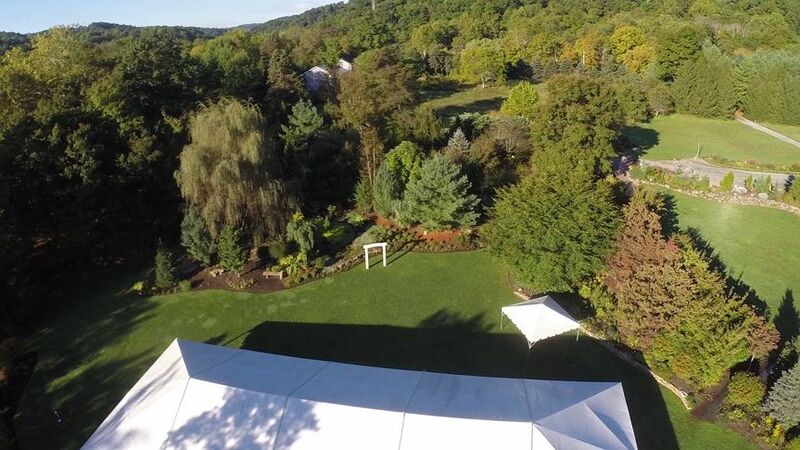 Providing protection from the elements, our 40' x 100' Navi-trac tent covers a grand scale patio of R.I. Lampus Artiste style pavers, and is strategically situated to provide panoramic views of the gardens! Nearby, but completely out of sight, are handicap accessible restrooms. Stonebridge has secure, on-site parking. 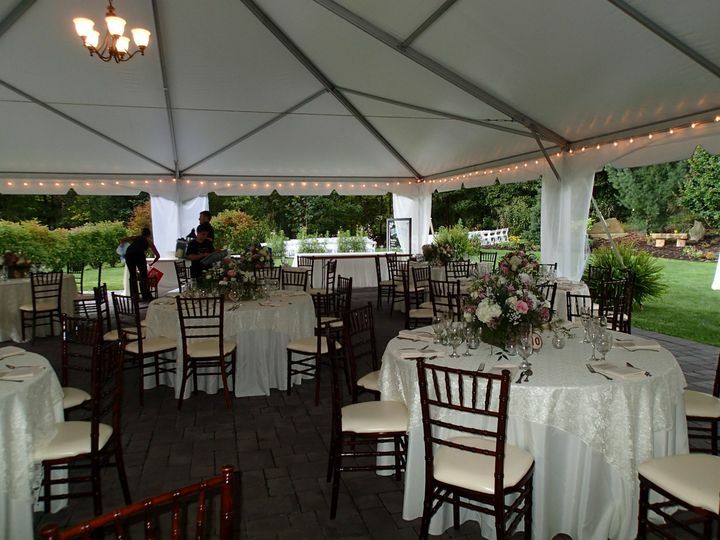 Our gardens and parking area can comfortably accommodate 250 guests! Your hosts are Jan and Jeff, gardening and working together, here, in this special place, for more than 30 years! 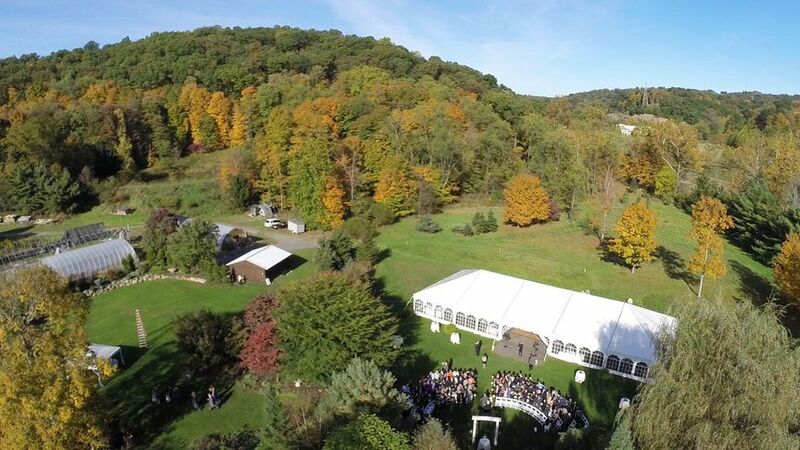 Stonebridge is so beautiful and was the perfect place for us for our wedding. Jan and Jeff are some of the kindest people and were so fantastic and accommodating. We had an amazing experience!!! I can't say enough good things about owner's Jan & Jeff. They were willing to come home early from their vacation so I could have my wedding there! 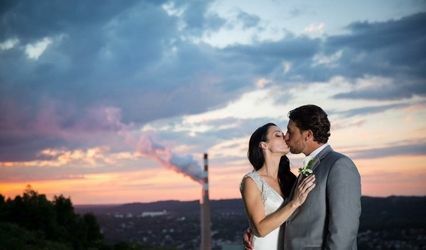 I am a full time wedding photographer that shot a wedding there last summer ... needless to say I fell in love with the place because right after I got engaged I called up Jan! 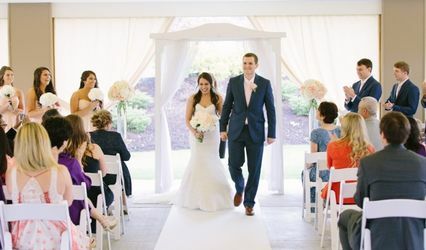 I only had one date that could work with my wedding schedule ... Jan said they would be hiking in Canada on the date I requested, so it technically wasn't booked for another wedding, but just that they would be on vacation. Jan and Jeff came home early from vacation to accomodate MY wedding!! They are the sweetest. The grounds are beautiful and so well kept. I cannot thank you both enough for giving me my dream wedding!! 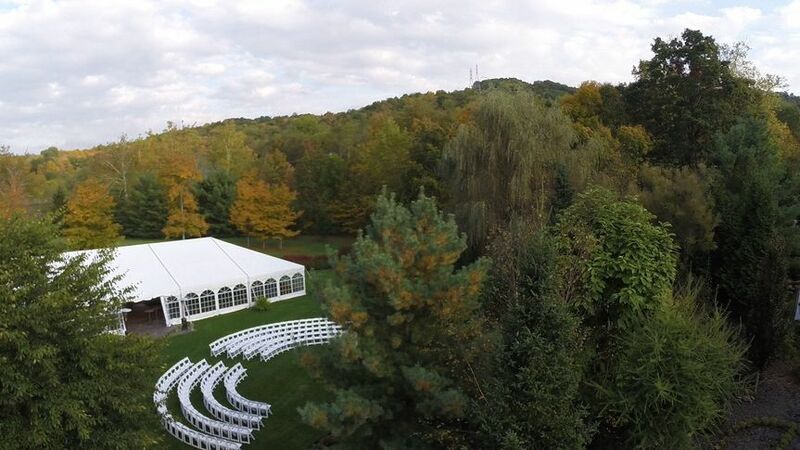 We had our wedding this past Saturday at Stonebridge and I can't recommend this venue enough. 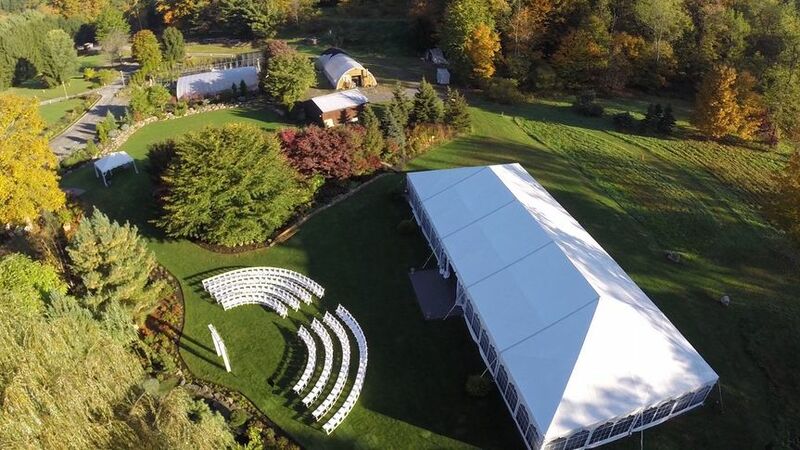 The owners Jan & Jeff are very easy to work with; they are very responsive throughout the whole planning process, can make thoughtful suggestions on how to make the space fit your wedding, and really go above and beyond with anything you need. 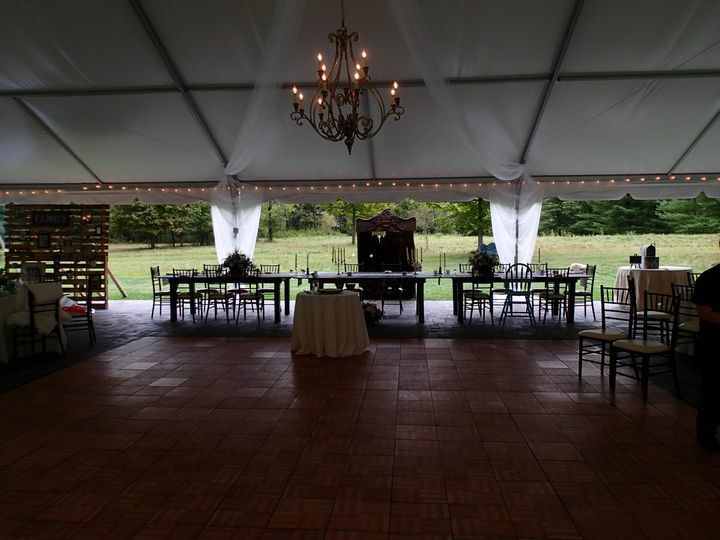 You are able to bring stuff to set up on Friday and go back on Sunday to pick everything up, so you don't have to worry about it the night of your wedding. 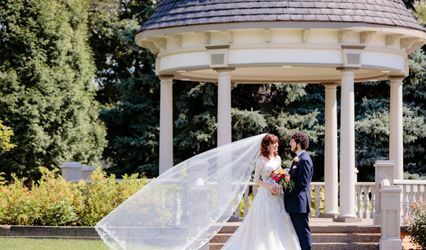 My husband and I, our families and our guests were all in awe of how beautiful the grounds were! Everyone loved taking their own pictures throughout the property!